Training leaders in the field of neurodevelopmental disabilities to meet the needs of children with special health care needs and their families. Kennedy Krieger Institute sponsors and conducts, on both a regional and national level, training activities including consultations, conferences, continuing education seminars, community-based workshops, presentations, publications and technical assistance activities. Training opportunities can range in length, from one semester to four years. Professionals from all academic levels come to train with renowned experts from a variety of pediatric disciplines. Kennedy Krieger training opportunities are designed to create expertise through exposure to the full spectrum of developmental disabilities. Training is interdisciplinary, with a family centered approach that takes into account the cultural and linguistic needs of our patients. Kennedy Krieger dedicates substantial resources to increasing the number of qualified specialists in the fields of neurological and developmental disabilities. We also take seriously our responsibility not only to improve care through research, but to share that knowledge with others. That is why more than 400 individuals come here to train in a wide variety of disciplines each year. The goals of the Institute’s clinical training programs are twofold: 1) to train leaders in the field of neurodevelopmental disabilities and 2) to help ensure that there is a sufficient number of qualified professionals to meet the needs of children with special health care needs and their families. By training future generations of researchers and professionals – from undergraduate students to current staff – we are ensuring that children everywhere can receive the best possible care. 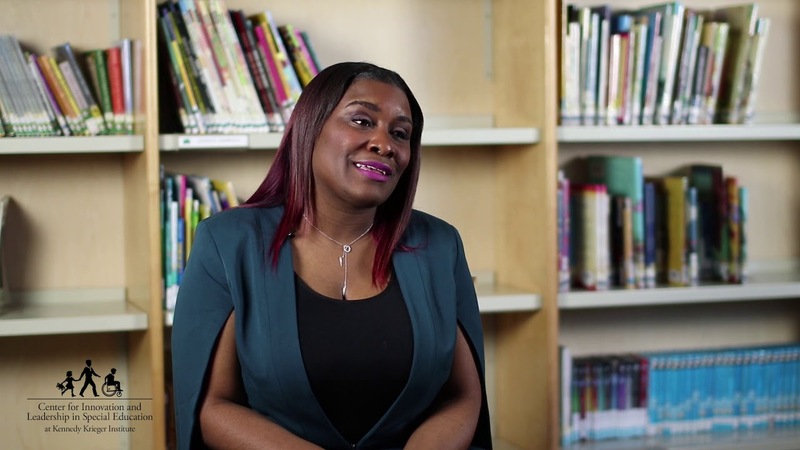 Meet Ketia Stokes, a former trainee from Kennedy Krieger’s Center for Innovation and Leadership in Special Education (CILSE).